AMD is reportedly preparing a new family of graphics cards for introduction in 2016 based on the Arctic Islands GPU architecture. The new graphics family will be manufactured at either TSMC or Globalfoundries on a 14nm/16nm FinFET process node and make use of the second generation of the stacked graphics memory spec by JEDEC dubbed HBM. We’ve talked about the Arctic Islands architecture before. AMD has revealed that it will announce a number of its future roadmap at the Financial Analyst Day in May. So it’s possible that AMD will publicly talk about this new architecture at the event. 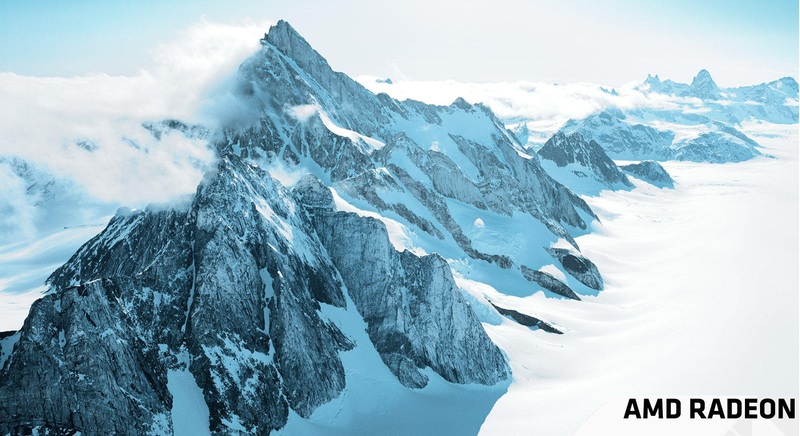 The Arctic Islands flagship is code named Greenland and will succeed Fiji as AMD’s most powerful GPU. Details about the new architecture are still scarce but what Fudzilla states is that with this architecture AMD will focus on significantly improving power efficiency. AMD Greenland New R9 400 Series Flagship Coming in 2016. The new Greenland chip will be AMD’s first GPU to be built on a 14nm/16nm FinFET process. What’s interesting is that in 2016 Gloablfoundries may become AMD’s chief GPU suppliers. A role that’s been fulfilled by TSMC for the past two decades. TSMC’s numerous and major setbacks with 16nm quite possibly have had a hand in this. It’s clearly evident from a historical point view that every one of AMD’s graphics product launches on a next generation manufacturing process in the current and past two decades was delivered on a TSMC process node. TSMC’s 16nm FinFET process node offers equally impressive figures with double the transistor density of current 28nm technology as well as faster switching speeds and finally significantly lower power consumption. Nvidia too it seems is interested in Samsung’s/Globalfoundries’ 14nm process node and might even favor it over TSMC’s 16nm FinFET+ for its upcoming Pascal GPUs. We know that Samsung will be making 14nm chips for Nvidia but it’s still not clear whether those will just be the company’s low power Tegra chips or if they’ll also include large, high performance GPUs. The Arctic Islands R 400 series family of GPUs will also feature the second generation of HBM. And will compete with Nvidia’s upcoming family of Pascal based GPUs in 2016. AMD is already set to debut the first generation of the memory technology with the Fiji GPU that’s coming this summer. So the move towards the second generation of the memory technology will be more transitional. Nvidia revealed that the new Pascal series will make use of the second generation of the stacked memory standard in 2016 as well. So it will be the first GPU architecture from the company to use stacked memory. Nvidia on the other hand announced no plans to use the first generation of HBM in 2015. 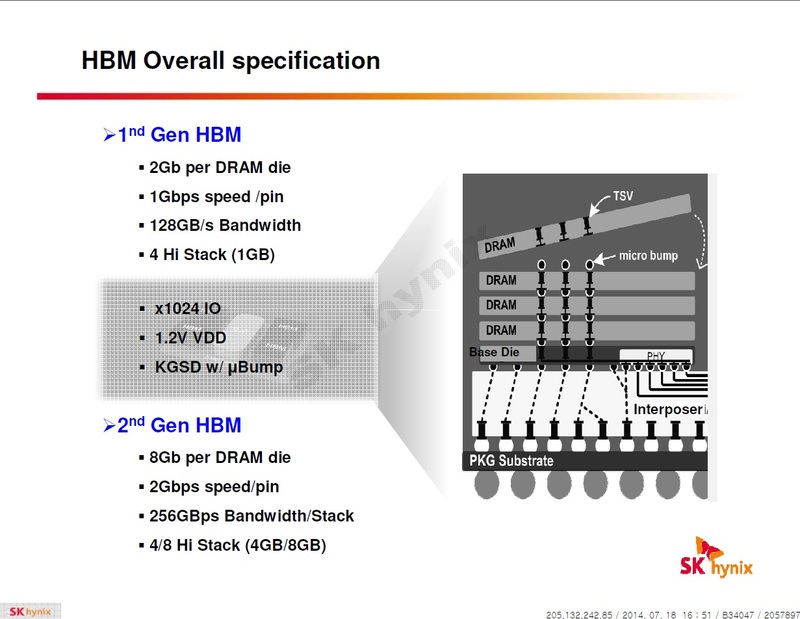 So HBM2 is quite clearly set to replace GDDR5 as the standard graphics memory for both AMD and Nvidia in 2016.